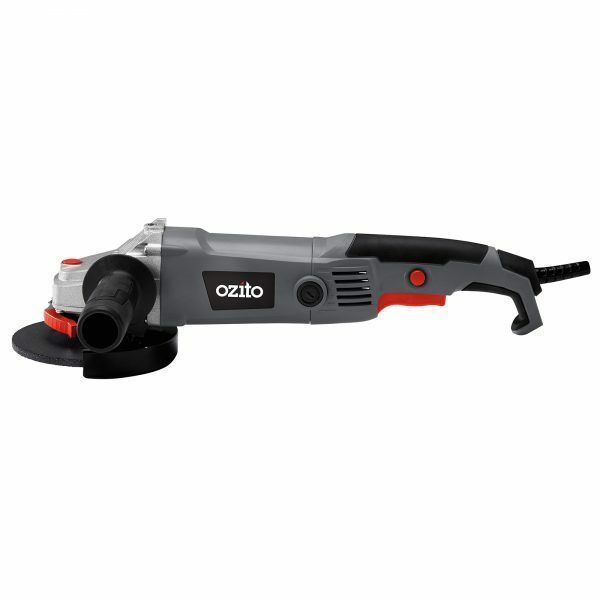 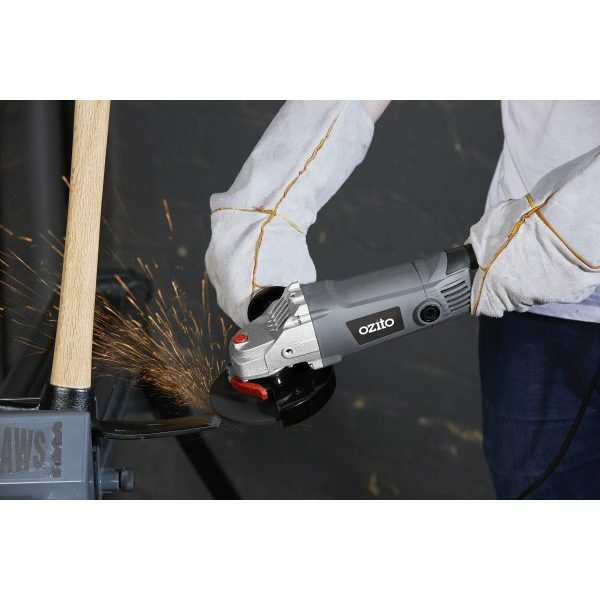 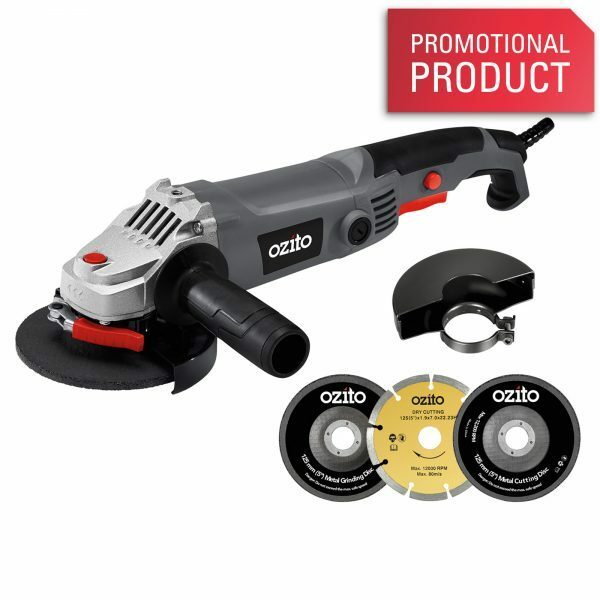 The Ozito 125mm (5″) Angle Grinder with 3 assorted discs allows you to undertake various metal working jobs around the home, garage or shed. 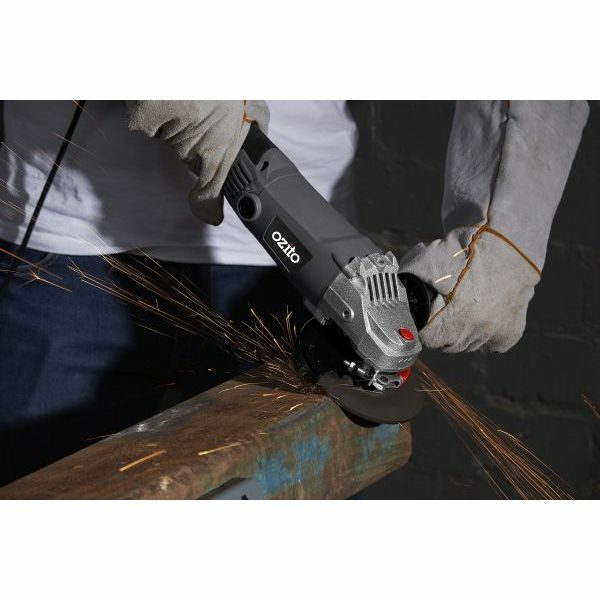 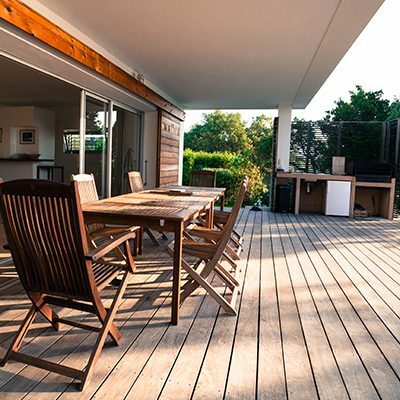 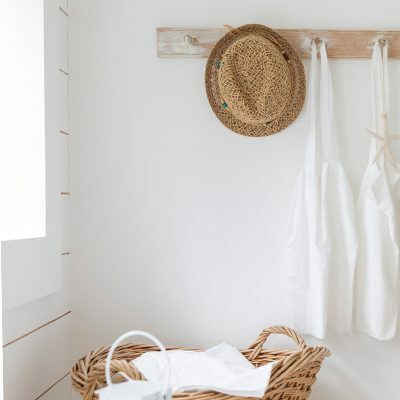 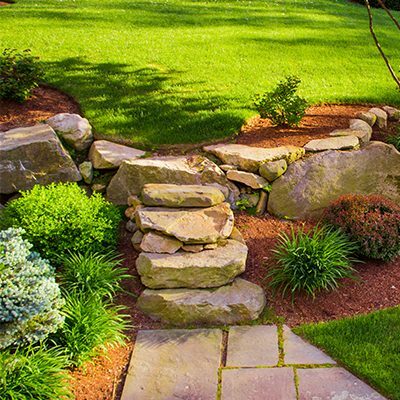 This includes, rust removal, grinding welds or removing excess material for a clean smooth finish, and cutting thin masonry, concrete and metal. 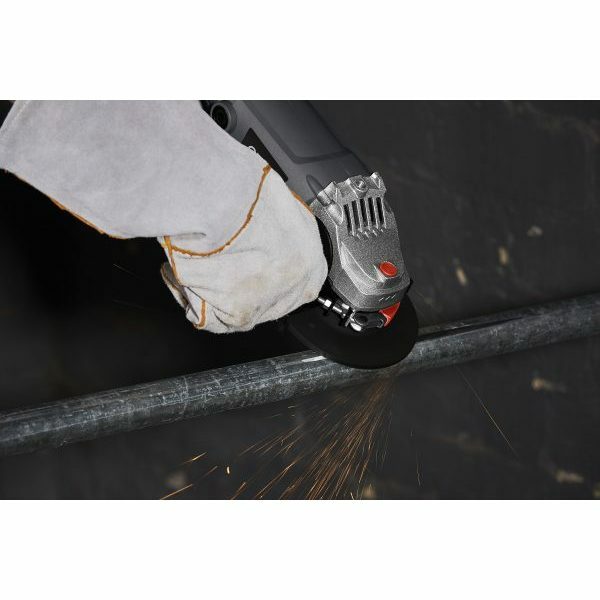 Get started on these projects right out of the box with the included metal grinding disc, metal cutting disc, diamond cutting wheel and associated guards. 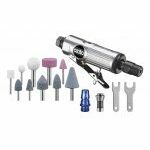 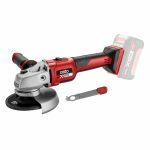 The 3 position side handle, safety lock-off trigger and the 2 included cutting and grinding guards allow for safe operation while using either a cutting or grinding disc.